It’s already plenty nerve-wracking buying a used car. You might wonder if there’s an underlying mechanical problem or worry about the after-effects of a previous accident. 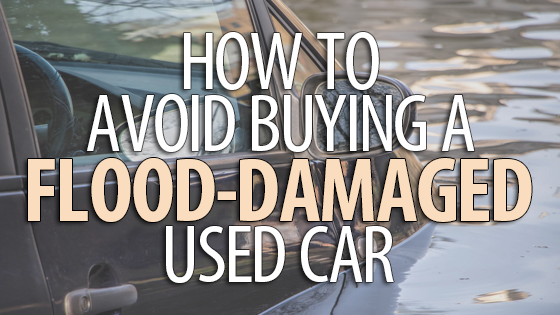 Now, with the recent flooding along the Missouri River, there’s one more thing to worry about: whether or not the car you’re considering has been damaged by a flood. It’s an unfortunate reality for some shoppers, as thousands of cars from all over Kansas City have been damaged by water, then cleaned up for sale. How do you spot one of these vehicles? Water lines or condensation in the lights. Unless the lights were completely replaced, you may be able to detect the faint signs of water lines or condensation on the lens or reflector of the front or rear vehicle lights. These are hard to clean completely. Damp, musty carpets & mats (or brand-new carpeting). The carpets can give you a great clue about past water damage. If they were not removed right away and carefully dried, they’ll still smell like dirty water or mold. Check underneath the floor mats for any sign of unusual grime or mud. Obviously, if carpeting was just replaced, you might inquire as to why, as this is not normal.